It's back for another fun summer! 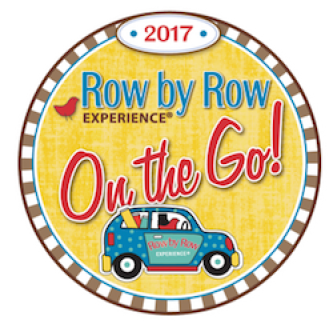 This year's theme is "On the Go". Since we are "Quilting on the Hudson", our block represents our local fish swimming in the Hudson River on the way to The Quilt Tree! Each participating quilt shop designed their own "Row by Row" quilt block. Visit our shop to get your free "Row by Row" pattern. We also have a kit of the block available for purchase. Collect blocks from participating shops, put the blocks together to make a quilt. The first person to bring in a completed quilt using Row by Row blocks will receive a prize! 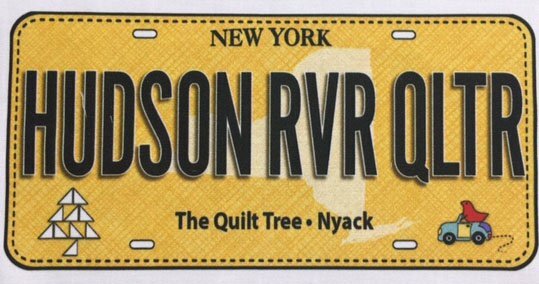 Collect each quilt shop's "License Plate". You'll discover new places, but of course, please visit us first!